Recently, a group of archaeologists confirmed that a knife found in the tomb of Egyptian pharaoh Tutankhamun was crafted from ancient meteoritic iron. Now, over 3,000 years after the famous pharaoh was mummified, a gun manufacturer in Pennsylvania has made not one, but two M1911 pistols out of a sold hunk of meteorite ore.
After Cabot Guns founder Robert Bianchin and his team conceived the idea of a “meteor pistol” in 2015, they dedicated themselves to making their unique vision a reality. After overcoming numerous obstacles along the way, they were able to craft two fully operational M1911 pistols out of a meteorite in just over a year. 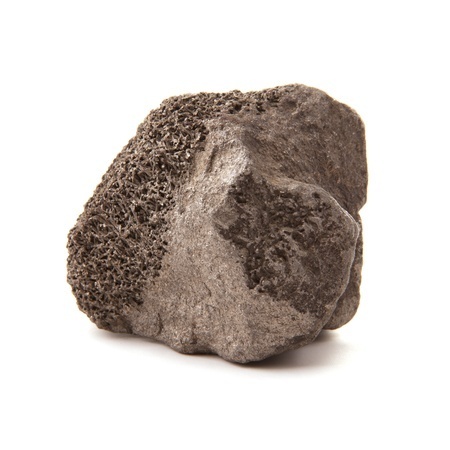 Bianchin and his team obtained their raw material from a sample of the Gibeon meteorite which impacted Earth in modern day Namibia roughly 4.5 billion years ago. Because meteoritic iron is so rare and precious, they only had enough to make one attempt at creating the pistols. Cutting the meteorite to shape was a harrowing 11-hour process. Aside from the barrel, springs and grip screws, every component of the pistols was carved form a solid block of ore. Bianchin’s team was careful to machine the pistols in such a way as to preserve the natural aesthetic qualities of the meteorite. They named the pair of pistols the “Big Bang Set” in honor of its cosmic origins. It’s been valued at a cool $4.5 million.